A fresh new update for the Master Rule just popped up with some crazy news! Remember that new Extra Monster Zone which each player has access to 1? Well you now have a way to steal both Extra Monster Zones for yourself!! Introducing Extra Link!! These updates just came in from the Perfect Rulebook, seems like some people managed to get it early. Here’s the translation for the pictures below. Make use of the Link Markers to special summon from the Extra Deck! Summon out Link Monsters and use the Main Monster Zones in front of the Link Markers to summon out your Extra Deck Monsters. Your opponent’s field is affected too! If a monster has a Link Marker that points upwards (to your opponent’s Main Monster Zone), your opponent can also summon Extra Deck Monsters there! Make use of Mutual Links to utilise both Extra Monster Zones!! Summon a monster to the other Extra Monster Zone! Normally, you can only utilise either 1 of the Extra Monster Zones. 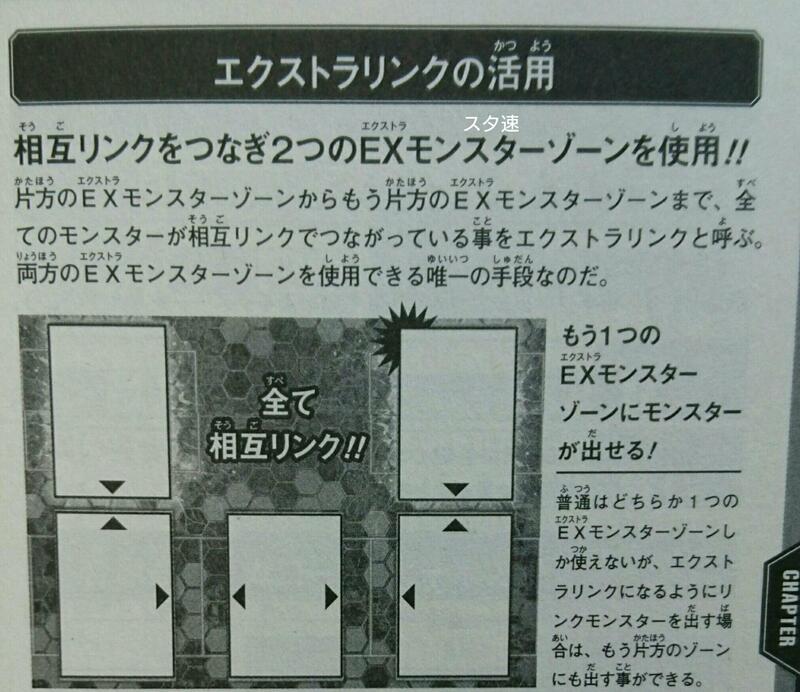 However in the scenario where you are completing an “Extra Link”, you can summon to the other (Extra Monster) Zone. When both Extra Monster Zones have Link Monsters and your main Monster Zones have Link Monsters to connect them via Mutual Link, this situation is termed as “Extra Link”. When you are using 1 Extra Monster Zone and ONLY if you are completing the Extra Link, you can special summon a Link Monster to the other Extra Monster Zone. 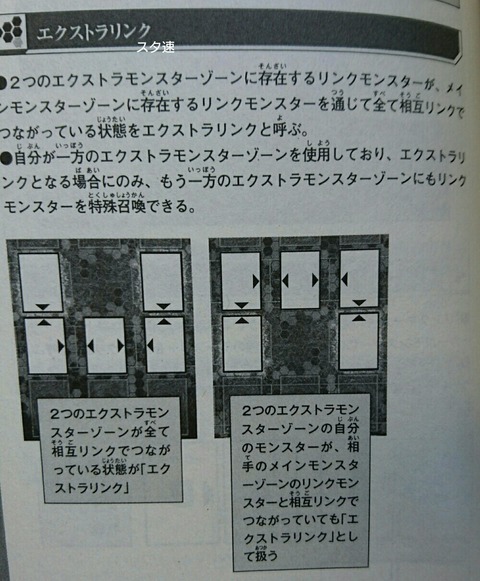 When both Extra Monster Zones are all mutually linked, the scenario is termed as “Extra Link”. 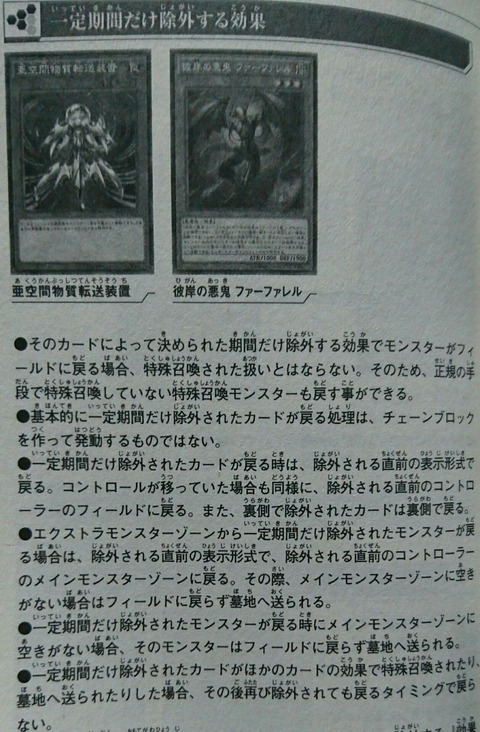 If both of your Extra Monster Zone monsters are connected via Link Monsters on your opponent’s Main Monster Zone, the scenario is also treated as “Extra Link”. If [2 or more Link Monsters are pointing towards each other with their Link Markers], those monsters are considered to be Mutually Linked. – If a Link Monster is Link Summoned successfully and sent to the graveyard or banished afterwards, when you special summon it back, it will be special summoned to the Main Monster Zone. In this scenario, you may place it in any Main Monster Zone that is empty. The monsters that are sent to the graveyard for a Link Summon are considered as Link Materials. The Link Materials are considered to be sent to the graveyard before the Link Monster is summoned. In the event that the Link Summon is unsuccessfully, the monsters that were being used for the Link Materials are still sent to the graveyard. In this event, those monsters are not treated as Link materials. While Macro Cosmos is in play where a monster that would be sent to the grave is banished instead, you may still Link Summon. In that event, the monsters used as Link Materials will not be sent to the graveyard but will be banished instead. Monster Tokens on the field can be used as Link Materials. In that event, the tokens are not sent to the graveyard but are removed. Trap cards that are treated as monsters on the field can be used as Link Materials. In that event, the Trap card that was used as the Link Material is sent to the graveyard. In the event that a monster that is a Link Material leaves the graveyard and is special summoned to the field, it is no longer treated as a Link Material. 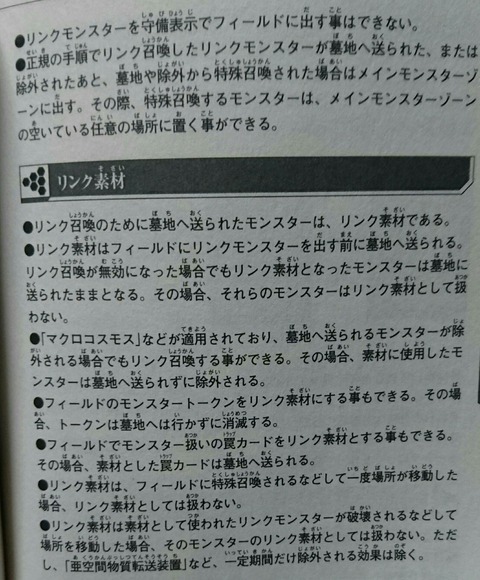 Link Materials for a monster will no longer be treated as Link Materials if the Link Monster is destroyed or leaves the field. The exception is when it is temporarily banished by effects of cards like Interdimensional Matter Transporter. When effects of cards that temporarily banish monsters from the field end and the monster is returned to the field, it is not treated as a Special Summon. In that scenario, even if a monster that was not legally special summoned may also return. Generally, when returning cards that were temporarily banished, it does not use the Chain Block. When a card that was temporarily banished is returned, it returns in the same battle position it was in when banished. If control of the card was shifted, it will return to the field where it was controlled before it was banished. Cards that were banished face down will return face down. If a monster that was temporarily banished from the Extra Monster Zone is returning, it will return in the battle position it was in before it was banished, to the Main Monster Zone of the controller’s field before it was banished. In the event that there are no empty Main Monster Zones, it is sent to the graveyard. When a temporarily banished monster is returning, if there are no Main Monster Zones which are empty, that monster is sent to the graveyard. If a temporarily banished card is special summoned or sent to the graveyard by the effect of another card, when the banishing effect ends, it will not return at that timing. Pendulum Monsters that are placed in the Pendulum Zones are not treated as Monsters, but treated as Spell cards that are in the Spell & Trap Zone. E.g. Cards in the Pendulum Zones are also treated as cards in the Spell & Trap Zones, so effects of cards like “D/D/D Dragonbane King Beowulf” that state “You can destroy all cards in the Spell & Trap Zones” can destroy those cards. 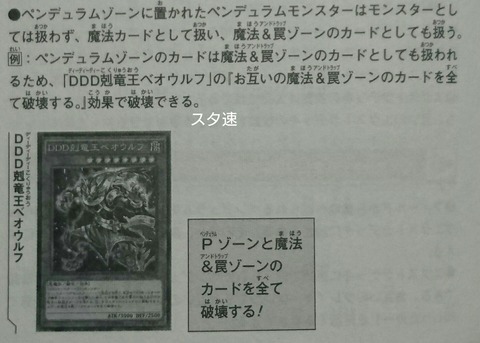 When special summoning from the Extra Deck, you can special summon them to a Extra Monster Zone or a Main Monster Zone on your field that is empty and pointed to by a Link Marker. If your opponent’s Link Monster points to a Main Monster Monster Zone on your field that is empty, you can special summon your monster from the Extra Deck to that Main Monster Zone. If you don’t have an empty Extra Monster Zone or Main Monster Zone that is pointed to by a Link Marker, you can still use your Main Monster Zone monsters or the monster from your Extra Monster Zone as Link Materials. 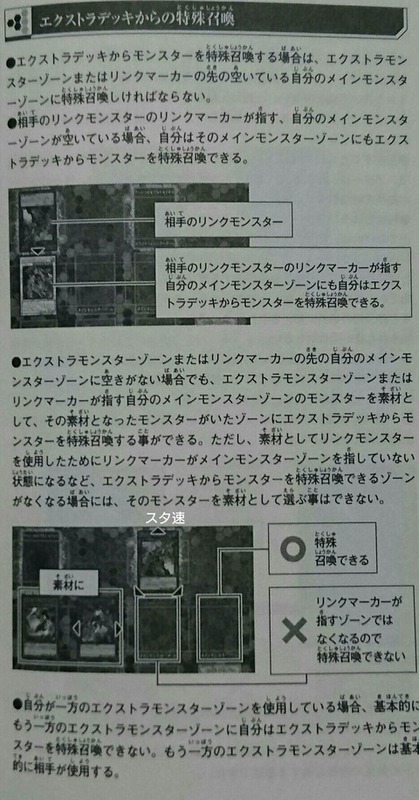 However you will not be able to Link Summon to a Main Monster Zone, using a Link Monster that is pointing to that Main Monster Zone as the Link Material (Unless it is pointed to by a different Link Monster). 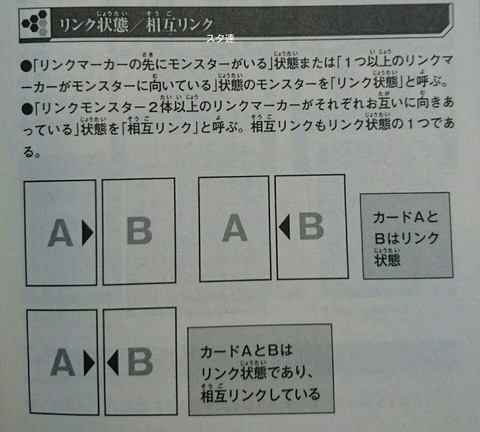 In this case, as you have no zones that can be used to special summon monsters from the Extra Deck, you cannot select that Link Monster as the material. If you are using 1 of the Extra Monster Zones, you are generally unable to special summon monsters from your Extra Deck to the other Extra monster Zone. Generally, the other Extra Monster Zone is for your opponent’s usage. Make sure to also check out the post for the errata cards! New updates on how a Link 2 or more monster is treated when being used as a Link Material! do we have any information about pendulum monster as matirials for link summoning??? I mean if i summon beast eyes pendulum dragon without using polymerization but by tributing the required materials will it be place in the extra monster zone or main monster zone? If I have a previously properly summoned extra deck monster in my graveyard and decide to special summon it, does it go into the extra zone/link spot again? 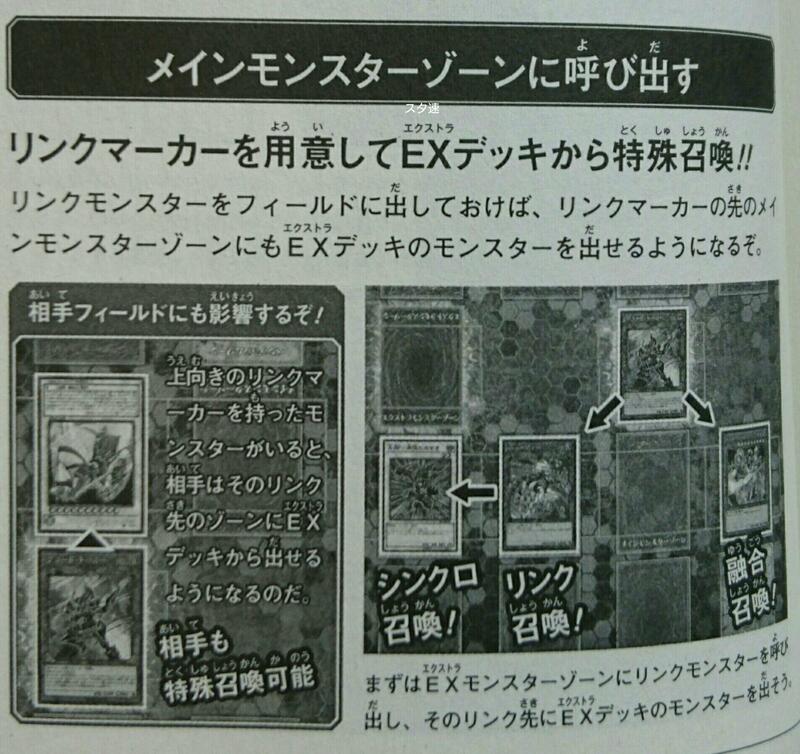 Or can it go into the main monster zone, since it’s no longer being summoned directly from the extra deck?